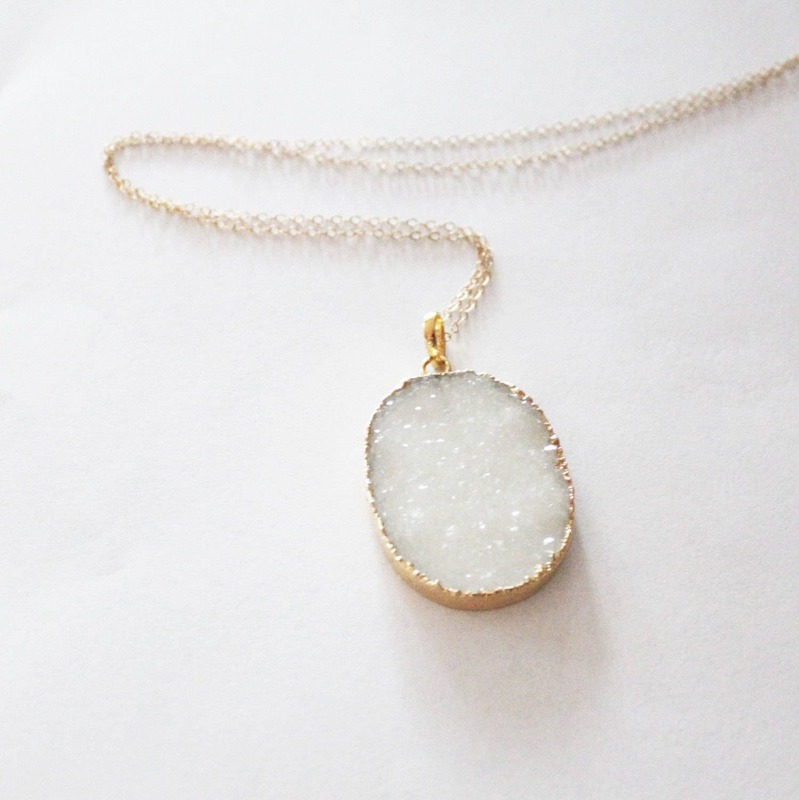 --This listing is for one long white druzy necklace. 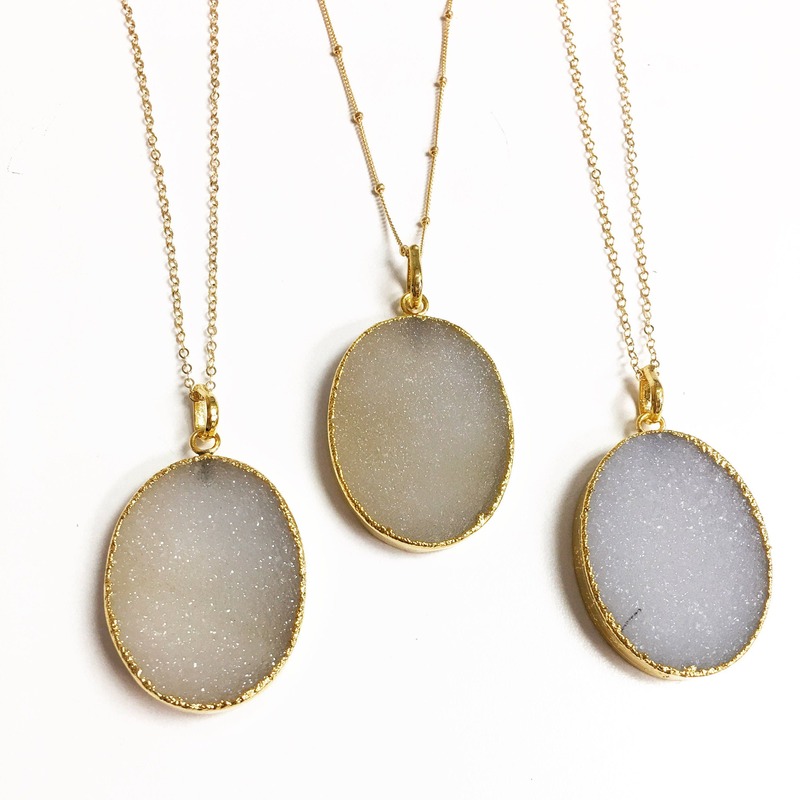 --Choose from a high quality 14kt gold filled necklace in link or satellite chain [not plated]. Choose your length. --Wear it layered with your favorite piece or alone. 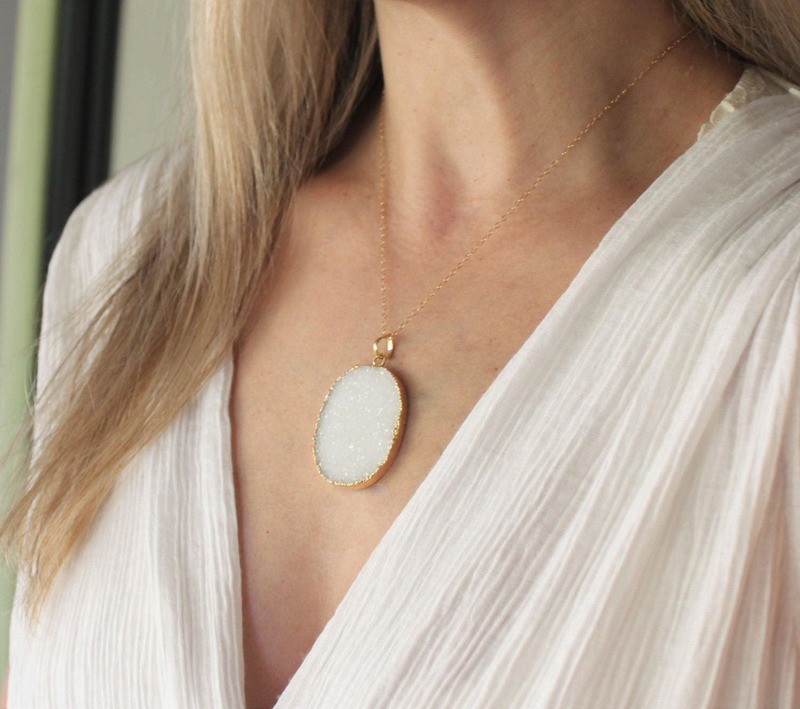 Listing for for the crystal necklace only, please visit my shop for other layering necklaces. 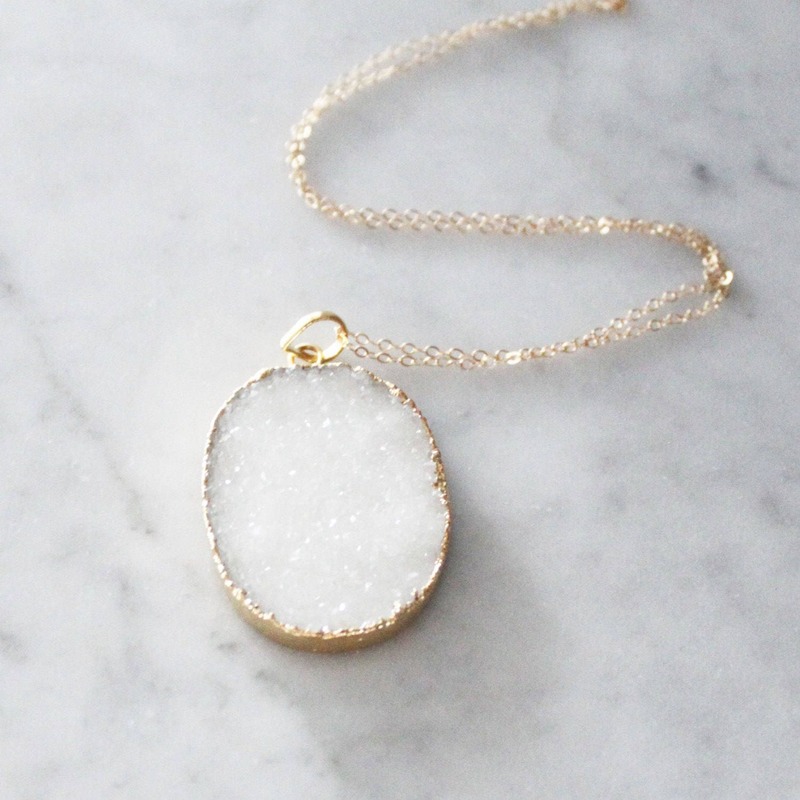 Dainty Gold Bar at 18"
This is a beautiful necklace, perfect with almost anything. I receive so many compliments when I wear it.